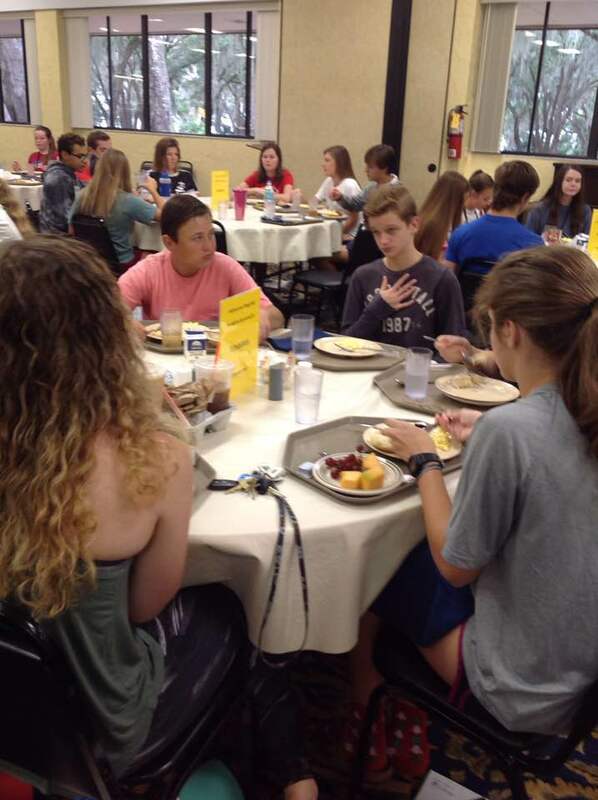 The Daily Experience includes an Intergenerational Worship Service in which any class may participate as enhancement to worship; both Adult and Youth Choral rehearsals with their respective Clinicians; Reading Sessions of New Church Music from various publishing houses, i.e. 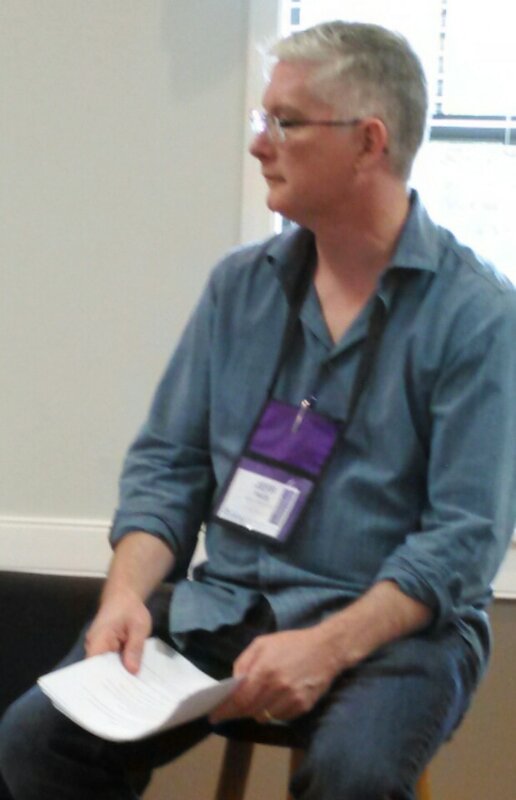 J.W. 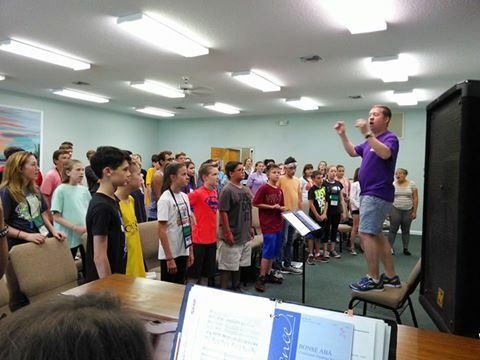 Pepper, Shawnee Press, Hal Leonard, Burkenhorst, Hope Publishing, etc., for the Adults; Master Classes in conducting; Intergenerational Drama, Instrumental Ensemble, Liturgical Dance, Sign Language, and Handbells; and Seminars in Traditional and/or Contemporary Worship, How to Use Current Technology in Worship, Organ Literature and Techniques, Drumming Class, Learning to play Guitar, Working with Young Voices, and more! 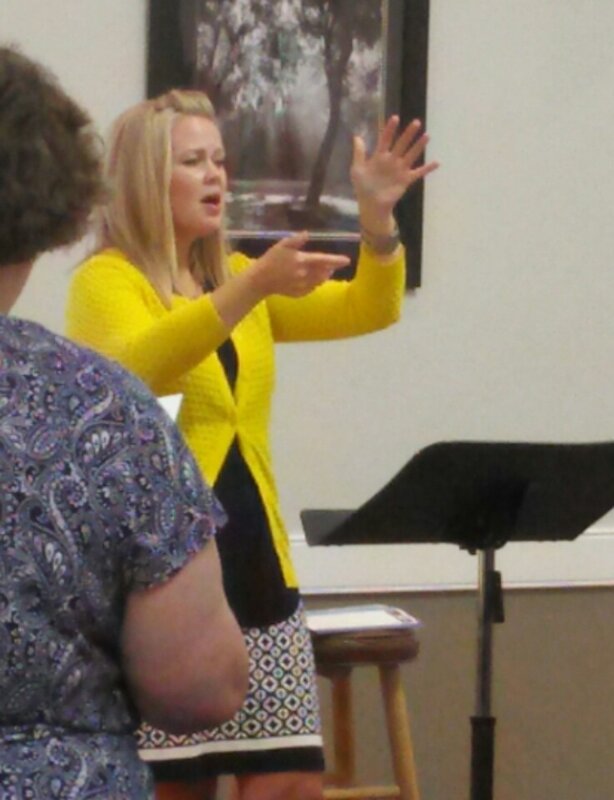 The Sign Language class enhancing one of our daily worship services. 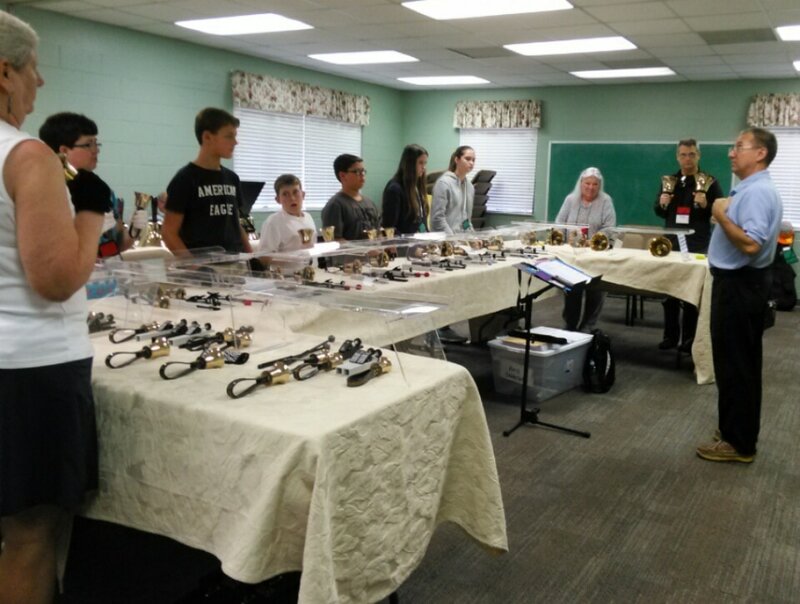 Rick Holdsworth, Handbell Clinician, directing an intergenerational class for Introduction to Handbells. 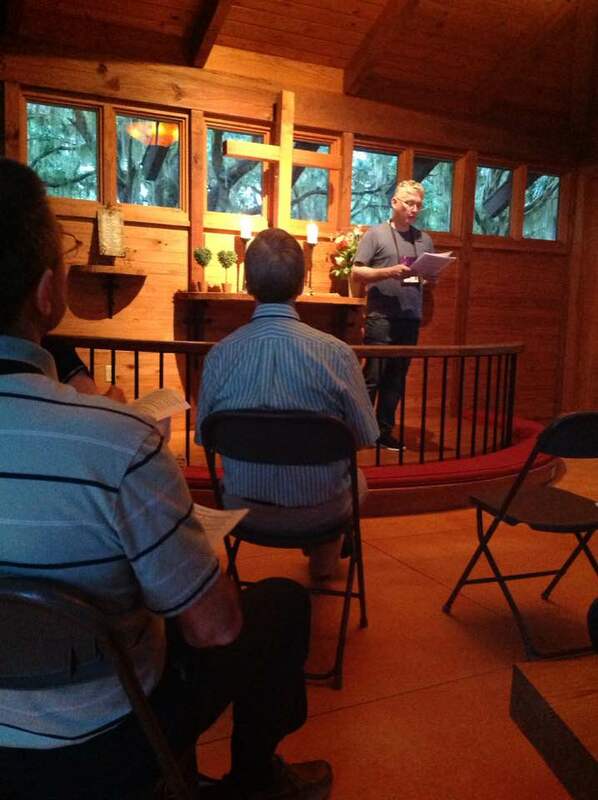 Jeff Faux (President Florida FUMMWA) leading a seminar on Traditional and/or Contemporary Worship. 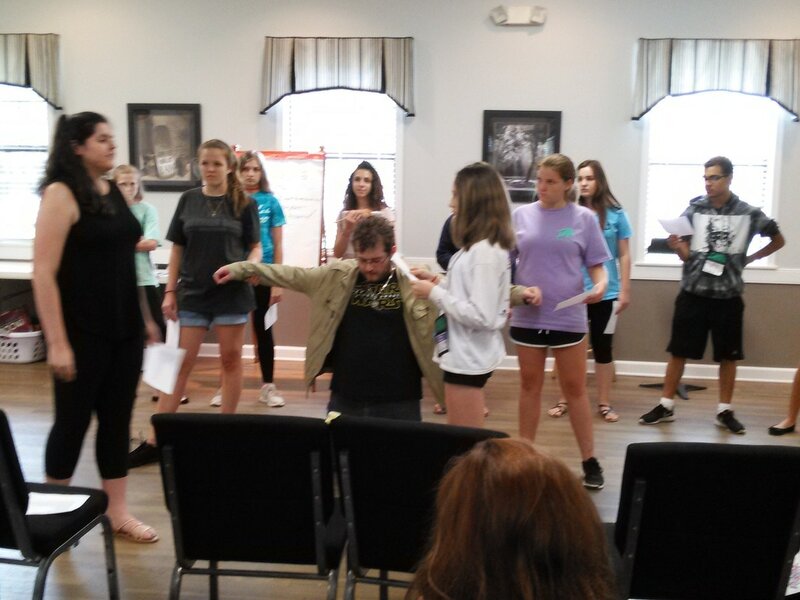 Christian Faux leading the Drama class in rehearsal. 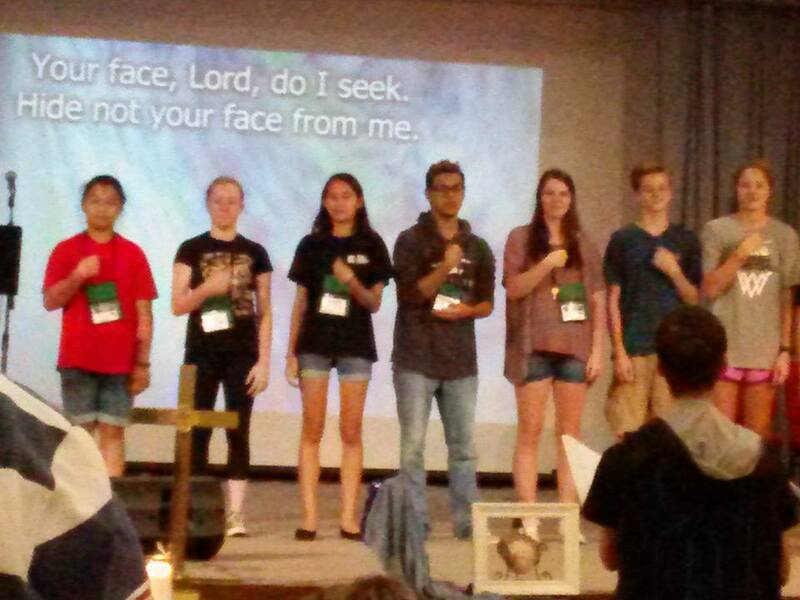 They presented "The Fall" during Youth Vespers. June C. Bennett (1921 - 2017). Rehearsing Liturgical Dance for a worship service. Breakfast, Lunch, & Dinner... Yummm! 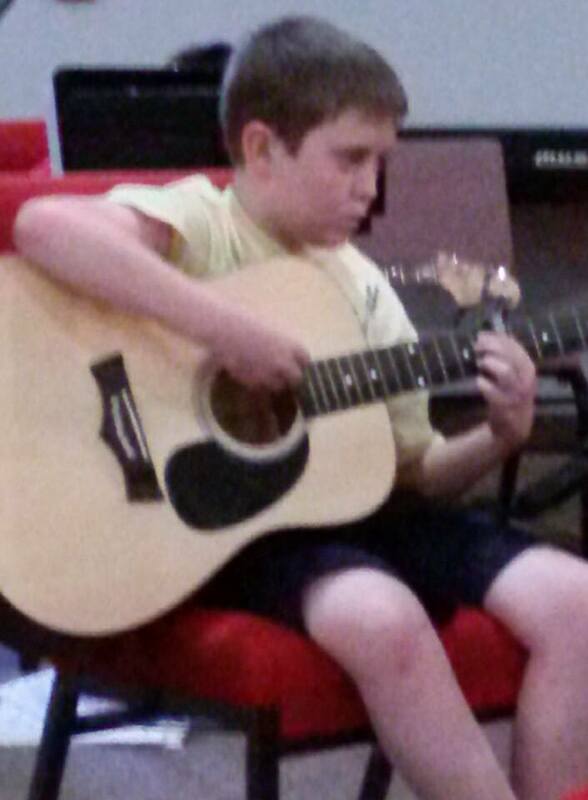 Guitar class could be challenging, but it was always FUN! Rev. 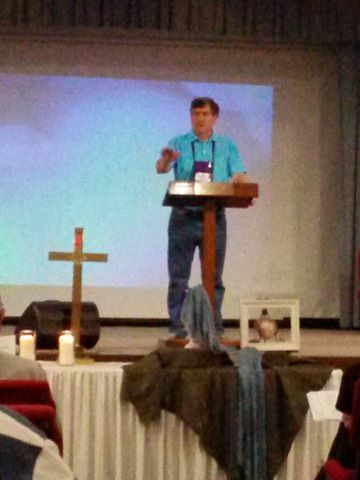 Dr. Jack Alwood preaching in one of our daily, joint worship services. 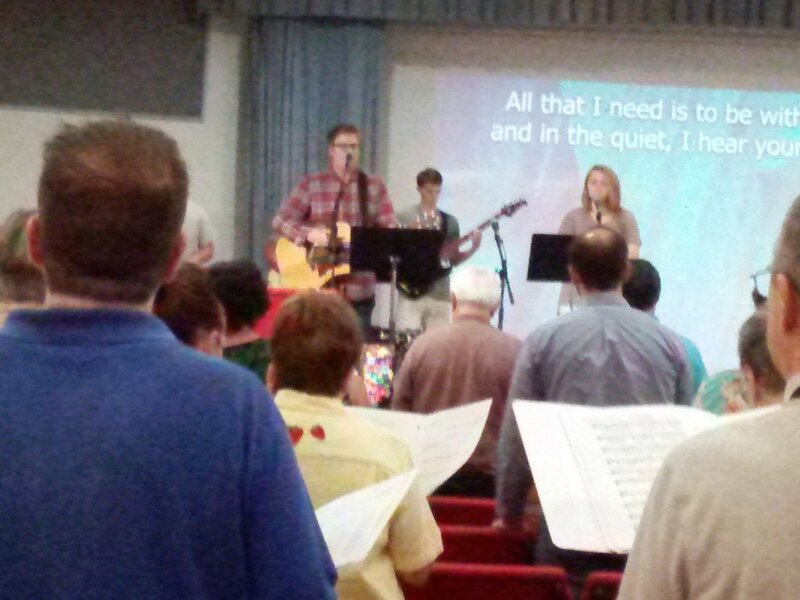 The Praise Band during one of our joint worship services. 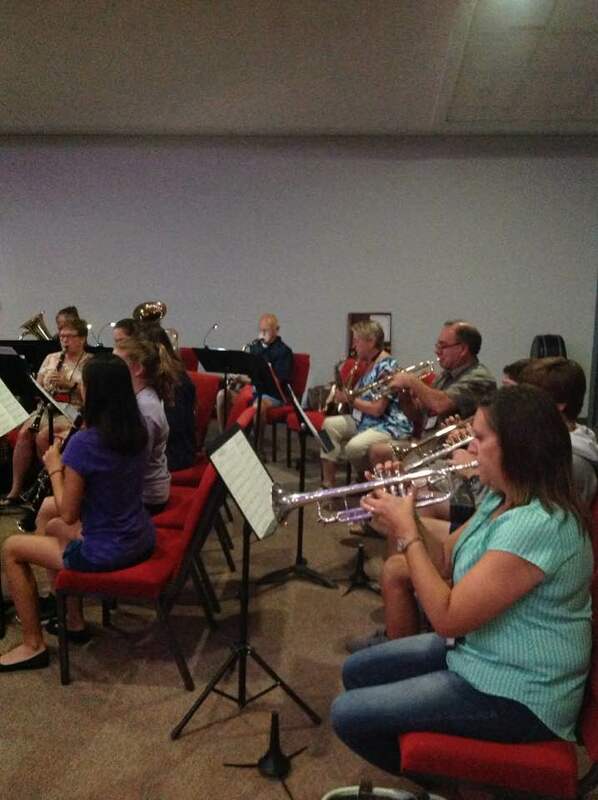 Brass and Woodwinds in the Instrumental Ensemble. 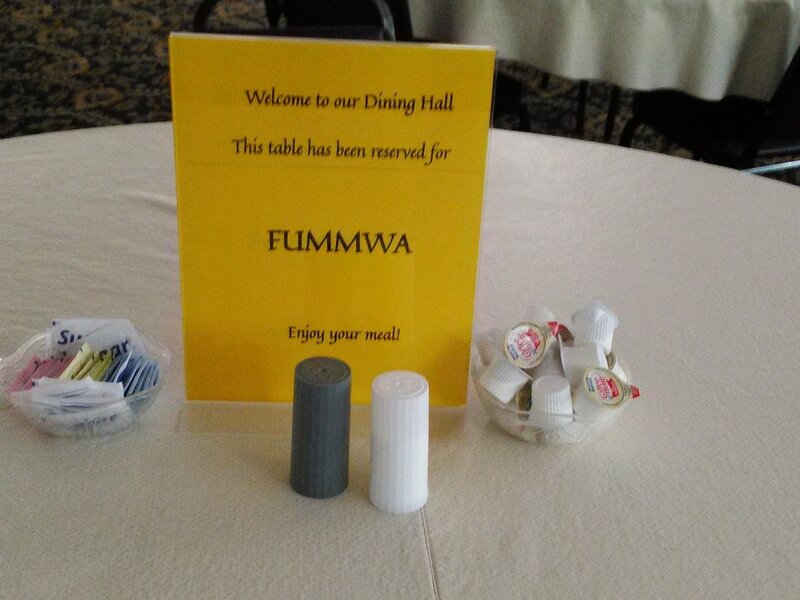 Oh, did I mention that the food at the Life Enrichment Center is really GOOD! 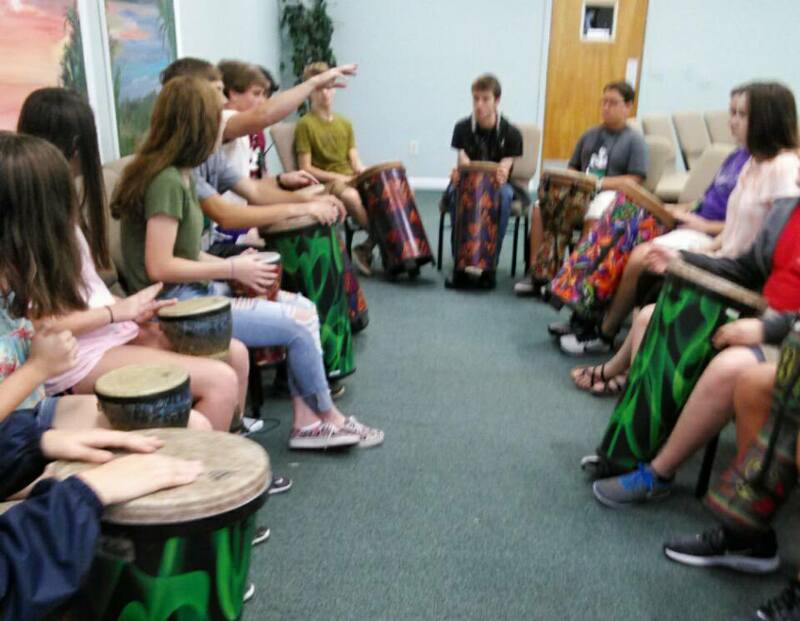 Drumming Class was a favorite among the youth, and could be heard all over the campus! 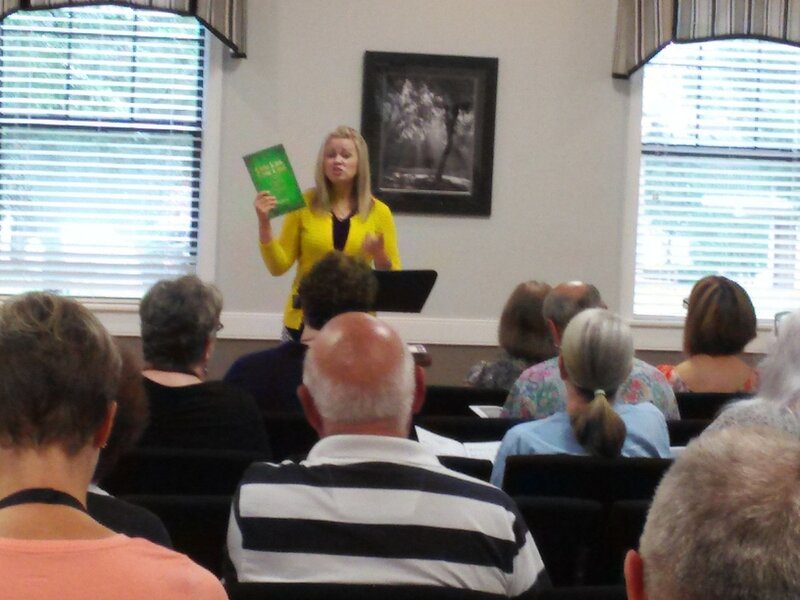 Upon entering each Adult Reading Session, we were presented with a packet of new music from that day's publishing house! 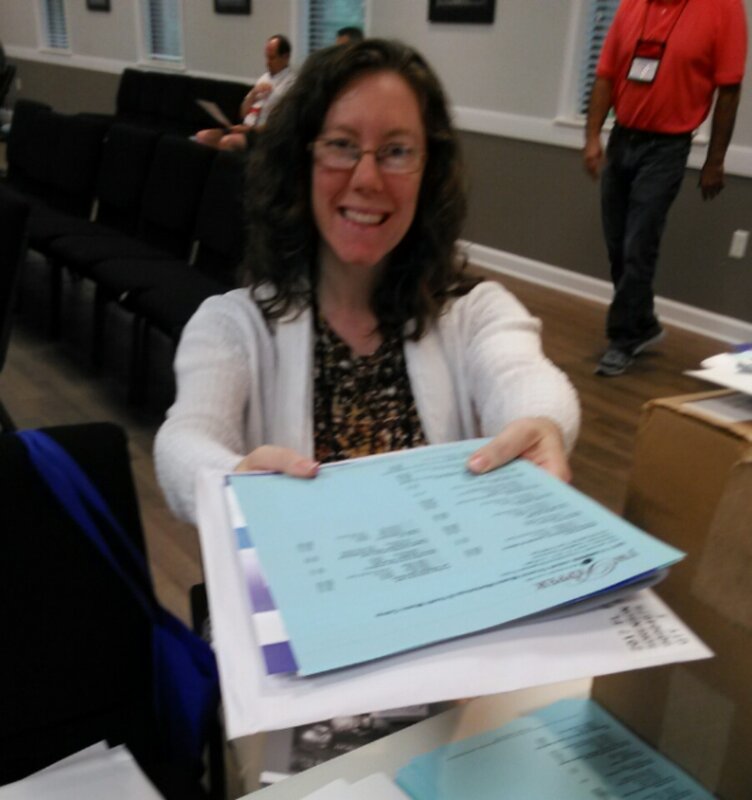 Thank you Beth, for coordinating all of these sessions. They were informative, challenging, and FUN! 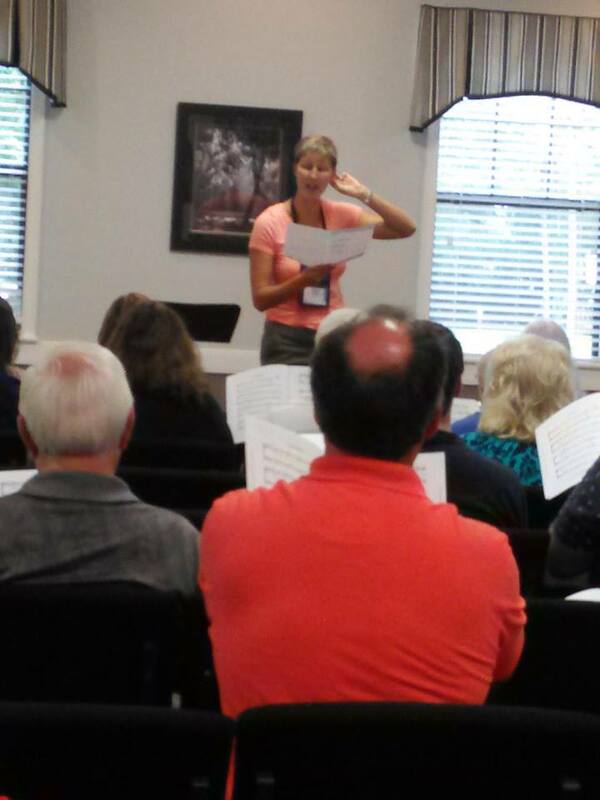 (Above and Below) Heather Sorenson directing the Hal Leonard / Shawnee Press Adult new church music Reading Session. 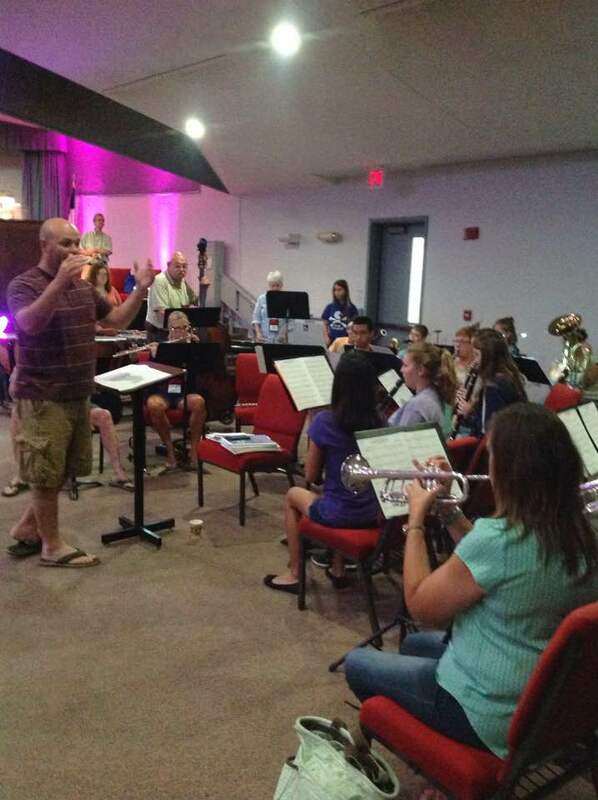 Bryan Browning directing the Instrumental Ensemble. 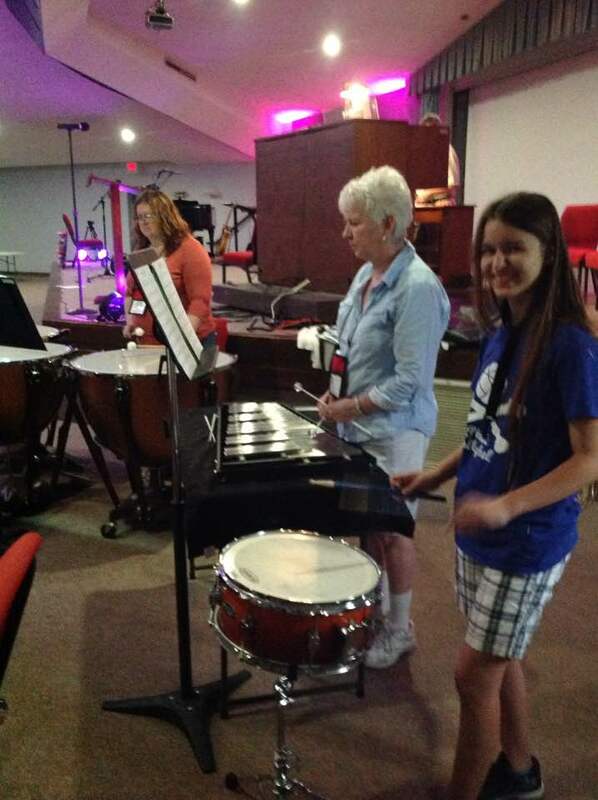 Percussionists in the Instrumental Ensemble. 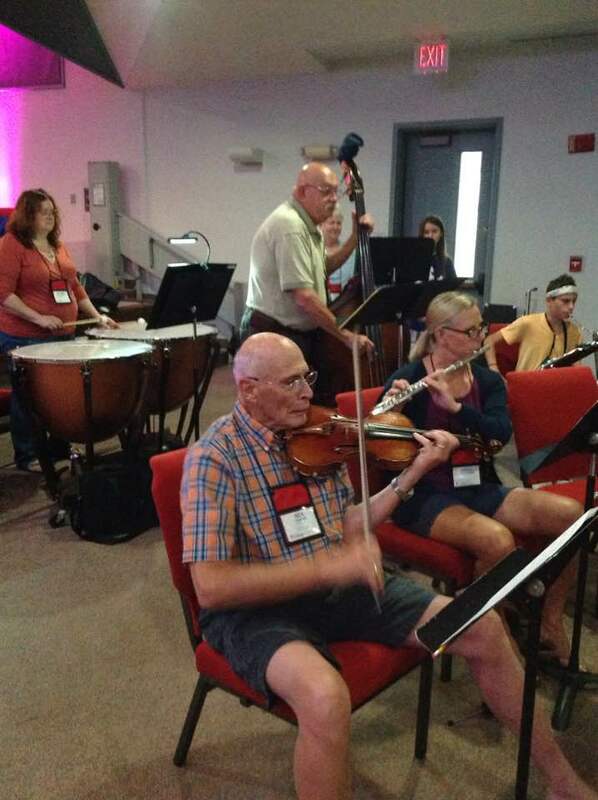 Strings, Woodwinds, and Percussion in our Intergenerational Instrumental Ensemble.